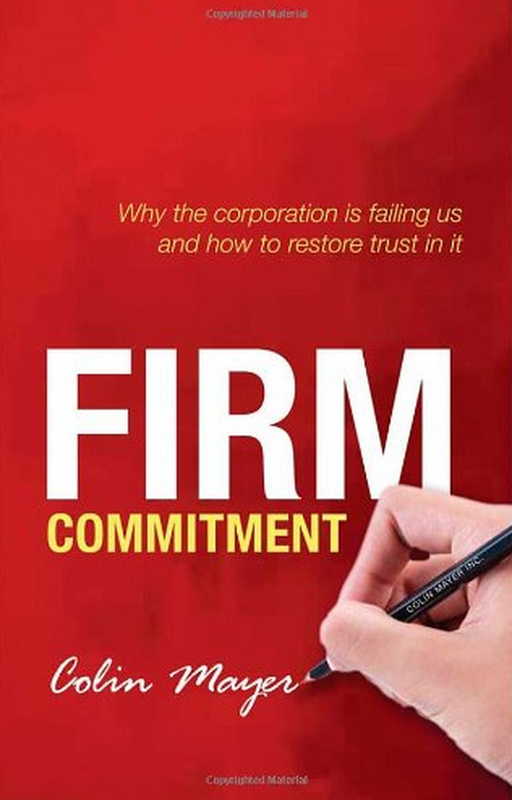 While working on my Article I came across Oxford University’s Saïd Business School Professor Colin Mayer’s book Firm Commitment. I read a few reviews (here’s the Economist) that led me to believe I needed to read it before finishing up one of my larger sections. And so my weekend was born. I absolutely recommend this book to those looking for a broad overview of the control-ownership issues in corporate governance. Mayer has his own recommendation, but even if you aren’t on board with it, you’ll walk away with a much stronger understanding of this important area. Especially helpful for me was both the discussion of corporate laws in other countries and the (too) brief introduction to the history of corporations in England. I’ll be looking into the relationship between the creation of corporations and the development of guilds, and later unions, soon. Regardless, very happy I stumbled upon this book. This entry was posted in Book Reviews, Labor Law and tagged academica, bibliophilia, Book Reviews, non-fiction on January 19, 2015 by heathermichellewhitney.